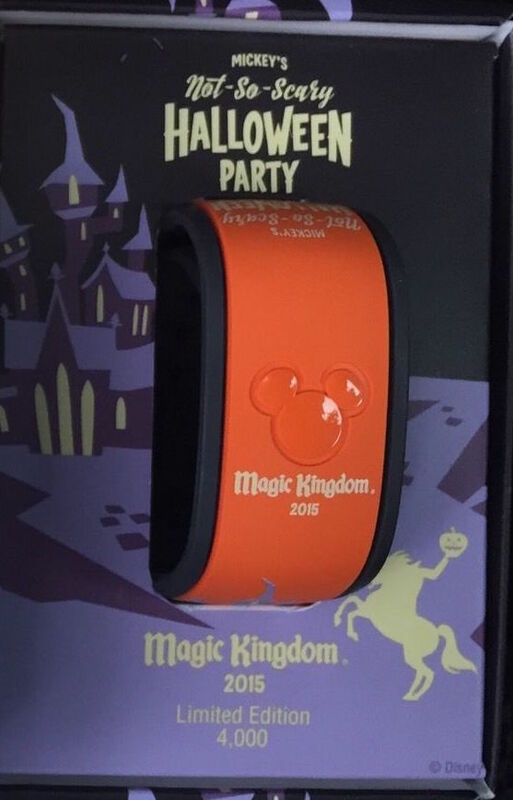 Here’s a first look at some higher quality pictures of the new 2015 Mickey’s Not-So-Scary Halloween Party MagicBand. As predicted, it is Limited Edition with an amount of only 4000 this year (compared to 5000 last year). This makes sense as many were for sale after the party was over last year. I’ll try and get a video of the lights/sounds at FastPass+ touch points as soon as tomorrow morning. 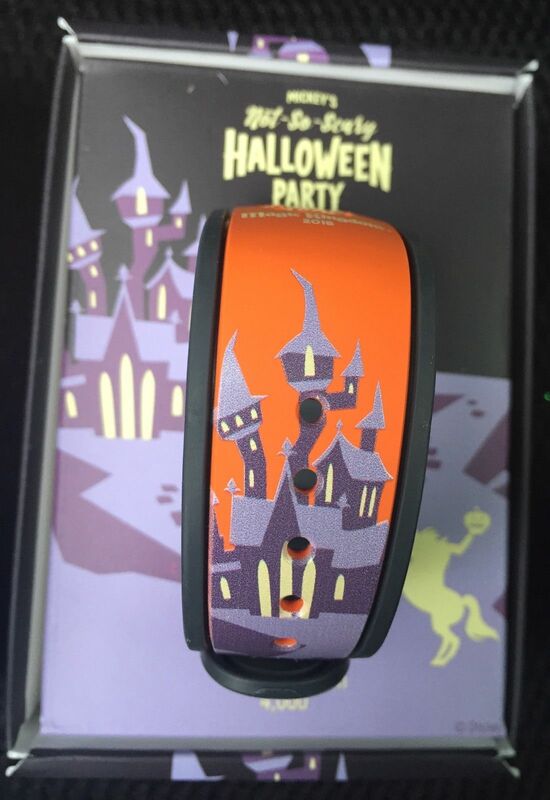 32 Responses to "First pictures of the 2015 Mickey’s Not-So-Scary Halloween Party MagicBand; LE 4000"
They’ll only have these on the shelves during Mickey’s Halloween party correct? Unless there are leftovers after the last night of the event of course. This is so amazing! Not only is it perfect for my honeymoon, but its our wedding colors, and we live near Sleepy Hollow! I’m so excited to see the lights and sounds. You know what’s super interesting is that this is the first limited edition magic band that has a park name on it. I wonder if they are trying to say that it will only make sounds at the Magic Kingdom. Correct, it’s the first one. And yes, it will only make sounds at the Magic Kingdom. The only other band that has something similar is the 2015 Limited Release band that says “Walt Disney World” on it. think these will last until the party on Sept. 27th? Possibly! I would guess yes. That’s what I heard as well. Thanks for the update! So does this mean on Sunday when I go to the part they won’t have any for sale? No idea. Make sure you check both stores listed on the party map to see if they have any left, and please report back here if they do or don’t. Thanks! Are these only for sale inside Magic Kingdom right now or are they available at Dusney Springs as well? Only in the Magic Kingdom at the party only. They are not sold during normal daytime hours. 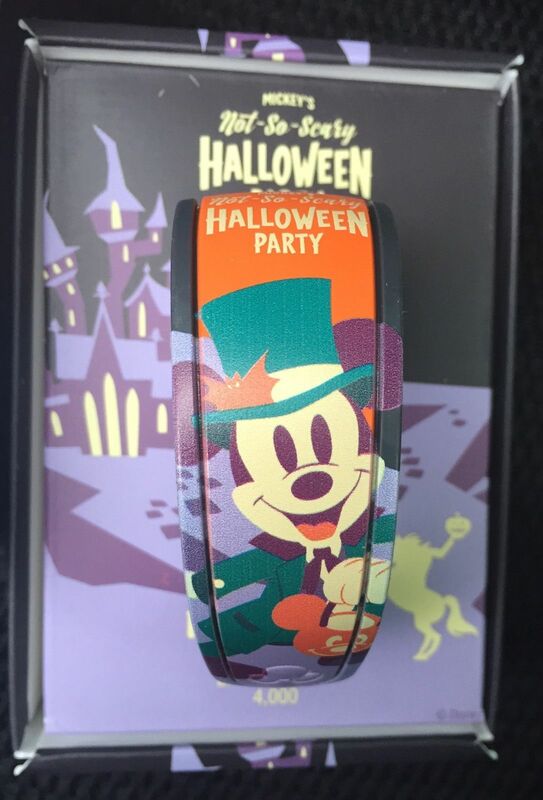 PSA: If you are worried about the unavailability of this magic band for the event the rest of this week or in the future do not worry, Melody from Disney World support confirmed to me that they will be available at all night of Mickey’s Not So Scary Halloween Party. Just in case anyone was concerned about not being able to get a band if you are going in later September or in October! Have a magical day! Going the first night, Saturday the 27th. 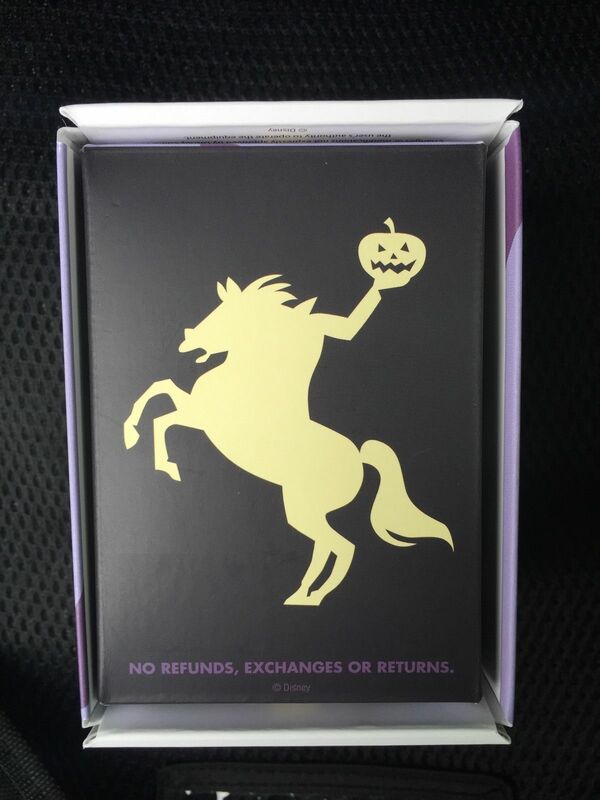 Confused, if they’re only available at the park during the Halloween party how have they already sold out of the first nights supply? Thanks. 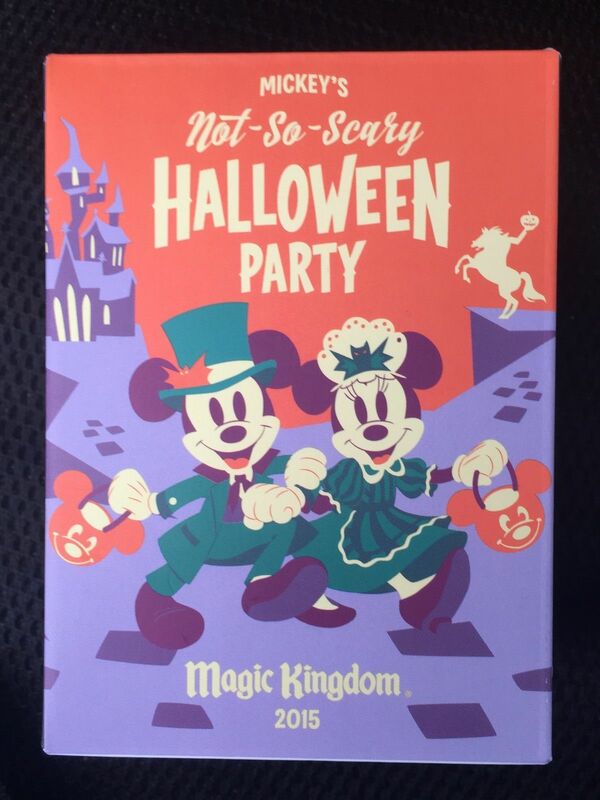 The first night of MNSSHP was September 15th, the stock that was on shelves completely sold out by the end of the night. Thank you. Called as well. Sold at the emporium on main st as soon as the party starts. As she handed it to me she asked for Halloween party ticket. Said I didn’t have one, she got upset, and sold it to me anyways. Woohoo! LOL, wow. These CM’s need to be trained better. They had the bands last night. I went to the Emporium around 4:30PM and displayed my event band and purchased one. They had plenty coming out of the back from what I observed. I surmise they have a set stock for each night of the event. How much do these run? I might grab one from ebay before we leave for our trip just to be sure we get one. Thanks! $32 after tax when you buy them in person. Do you think they will be releasing the limited edition Christmas bands this year like they did last year? We are concerned about not having them available when we go December 3. If I buy an unused one of the limited edition 5000 from last year, do you think it will still have the effects like when I scan the band, will there be the same “merry” type message as last year? If they make them again, they will have plenty for December 3rd. Yes, the ones from last year will work still. Do the ones from last year only work in Magic Kingdom? I love the band this year–great color combo with the orange and purple and having “Magic Kingdom” on it. I can see why there is so much excitement. Looking forward to getting one later this week. Love your site! Is it looking like they will still have some even in mid October?? They release a certain amount per day, so I am hopeful they will have plenty left for you.